Naming the best books each year is both immensely fun and very hard. We reviewed so many excellent books this year that narrowing the list to the final ten took more time than in years past. We had stand-out titles from long-time favorite authors like Nalini Singh and J.R. Ward, and discovered brilliant books from new authors like Jenn Stark and Shanna Swendson. I hope you’ll find new books to discover on this list, as well as encouragement to move any of these titles languishing on your TBR list to the top. 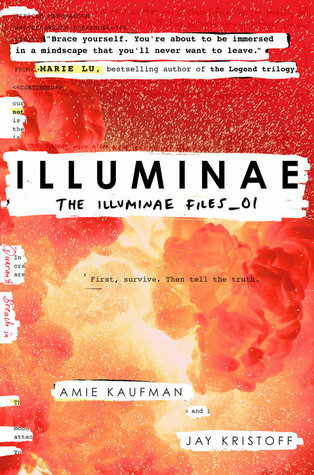 Almost every VBC reviewer has read Illuminae, and we all loved it. ALL OF US. Amanda summed it up best: Illuminae is this breath-stealing, heart-pounding, feels-inducing story that is easily the best book I’ve read all year. It’s a hell of a ride, so buckle up, because this is just the beginning. If you haven’t read this yet, make it happen before 2016. You won’t regret it. The non-spoiler review we posted of Dead of Winter might have you wondering why it’s toward the top of the list. It deserves to be here, though, and we’ll explain without spoilers. Kresley Cole has a talent for spinning her plots in a way that include a sneak attack. Characters aren’t always who you think they are, they don’t always make the decisions you want, and when those wham! twists come it can hurt because we’re so wholly invested in the characters and their story. Dead of Winter is one of those books. Beautifully written, stunningly executed, and totally ripped our guts out. The brothers are bhack! 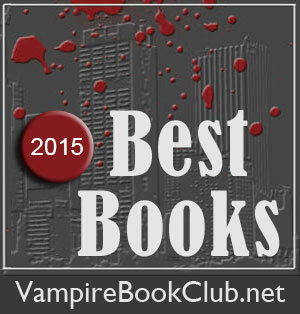 Blood Kiss hit the reset button on the BDB series. The romance is paramount in this one, which will sate readers who missed the tone of the early BDB novels. Plus, the chemistry between Craeg and Paradise—the new hero and heroine—is off the charts. We didn’t know had badly we wanted a Naasir book until this one hit our e-readers. The fascinating member of the Seven proved to be equal parts gentleman and animal. And Nalini Singh’s writing was top-notch. Ink and Bone is a book for book lovers. So not too much a surprise we adored it. Amy gave this one five stars and was straight-up blown away by the book. 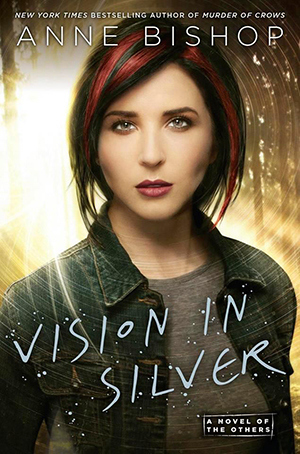 Intricate world building and a nice supporting cast made for a richer read, but at it’s heart was Jess’s story, which we completely related to. We absolutely loved Getting Wilde heroine Sara Wilde. She was that perfect blend of headstrong and good intentions. She isn’t perfect—and she knows it—but is okay with it. Our kind of woman. We finished the novel in a great mood and eager for more from Jenn Stark. Book eleven in the Chicagoland Vampires series was fresh, and that’s not an easy task when series hit double digits. So much of this book reminded the VBC team why we fell in love with Merit, Ethan, and the Chicagoland series in the first place. Bonus points for setting up the series’s final arc in a way we can get behind. Several VBC reviewers are big-time Rachel Vincent fans. We’re so glad we followed her into her latest venture of dark fantasy. The rich visuals and the emotional suckerpunch of this one was one of her finest works to date. This is the third year in a row that Anne Bishop’s The Others series has made our Best Books list. This series continues to live up to our silly high expectations. Vision in Silver gave us a solid ending—that we loved—but we’re ready for more. We were on the look for good, new steampunk this year, and we found it in Rebel Mechanics. VBC’s Margaret likened it to a lighter version of Emma Jane Holloway’s Baskerville Affair series. This is one of those books that will eat up your Saturday afternoon, and you’ll be glad for having been sucked into the world of ruling class vs. machine-building rebels. Yes to Cole and Bishop!! I have Ward and Stark on my TBR. I loved Menagerie, Vision in Silver, Archangel’s Enigma. I’ve started Cole’s series. I plan to listen to more of them. 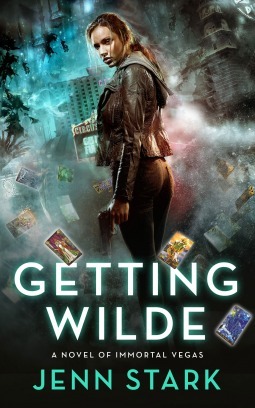 Wilde Card looks great. I’m adding to my TBR right now. I’ve heard Cole’s YA audio are excellent. This is a great list! Illuminae is on my Christmas list and after reading this I’ve been reminded that I need to check out Rebel Mechanics. Also, after hearing so much about Cole’s series lately (that you 25 days of book boyfriends), I’ve determined that series will be one of the next I pick up.